That is what has worked for me in my four and a half years of blogging endeavor. These are in addition to several mandatory practices that you should follow to give you a chance to have a large readership. So, I have included links to posts which very clearly explains what you need to do. Before I explain what I really mean let me add a word of caution. I write about technology … technology trend as I see it from an Indian perspective. I write to convey my thoughts to a wider audience. I never had any intention to monetize my writing. It feels great when I come to know that you have read and have liked my post. So, if you are looking for advice on how to monetize your writing or write to promote your business, then this is not for you. 1. How did I sustain my writing? You do not grow a readership overnight. It takes time … months … years. You will have to sustain your effort. You need to have patience. You need to keep writing. You can sustain such effort only if you are passionate about what you write and better still if it is related to what you do. That is how I have managed to find time to write. The background work that I need to do to write a post is something I like doing and it also helps me in my work. …it is the synergy between my writing, passion and work. 2. Where do I find topics to write? My main source of topics come from the opinion that I have … opinion which I form when I read a technology news item … thoughts triggered by other writers. However, what I have in mind – what I want to say may be trivial. It might have been repeated many time in the blogosphere. There is no fun in repeating what others have already said. At least you need to add a twist in the tale. So, researching the topic is extremely important. You need to find what other people have already said. Then pause and ponder how your view is different from what is already been written. One interesting way to add a twist is to correlate what you want to say with something in an entirely unrelated field. …find out what others have said and then present a different and unique viewpoint. If you are unable to differentiate then what do you do? Well … you consider dropping that idea. But wait – there is an alternative. 3. How to get over the challenge of not having different viewpoint? Having done your research, you now know what people have already said about the topic. Your have with you diverse opinion on the same topic. You can now collate and present a holistic picture for your readers. You can clearly identify the pros and cons. Do include reference to all the posts that you have liked. Also, you will have the opportunity to post a comment on those posts. …having researched the topic, you can act as an aggregator. 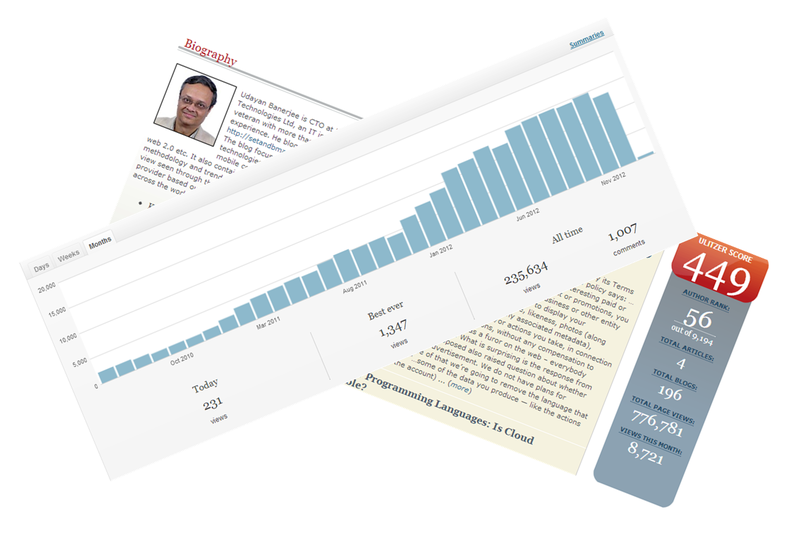 BTW: Towards the fag end of last year, cumulative hits to my blogs have crossed one million. ← What is the Definition of Big Data? Loved yur article!!! very practical and do-able tips for wannabe bloggers like me!